I know that people always says there mom’s pie, cake, or casserole is the best, I’m pretty sure my mom’s apple pie really is the best apple pie ever. 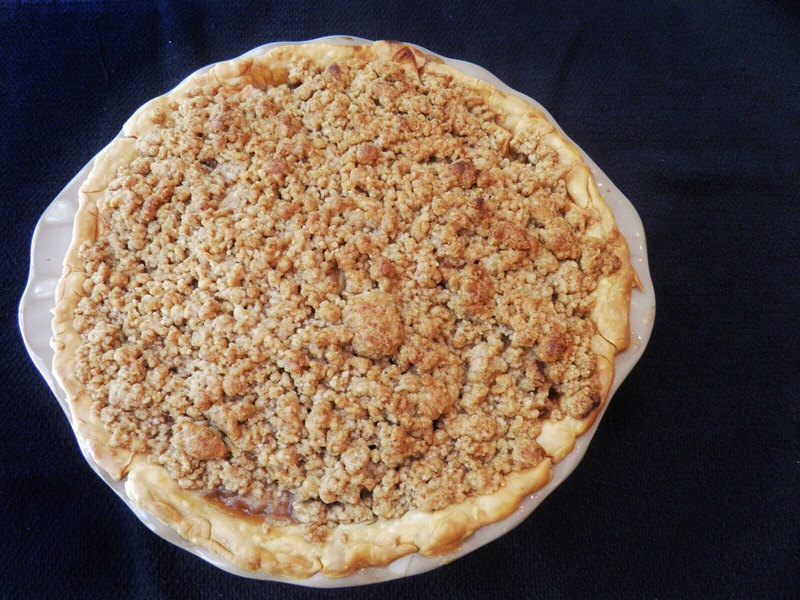 While apple season doesn’t start until August, we typically start seeing apple pie at our family gatherings at the end of June since it’s my brother’s birthday dessert of choice. To me nothing tastes like 4th of July and summer picnics more that a nice piece of mom’s apple pie and some vanilla ice cream. 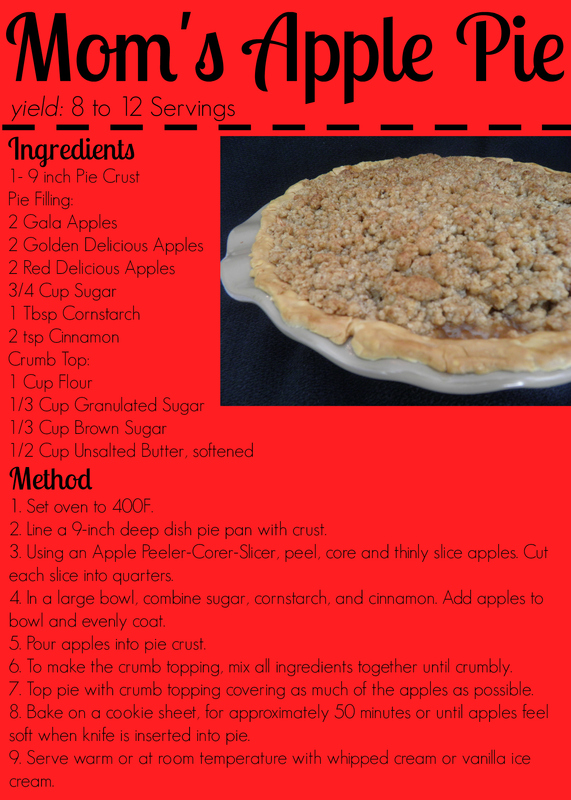 Between the classic sweet cinnamon flavor and a killer crumb topping, this pie truly is a crowd pleaser. 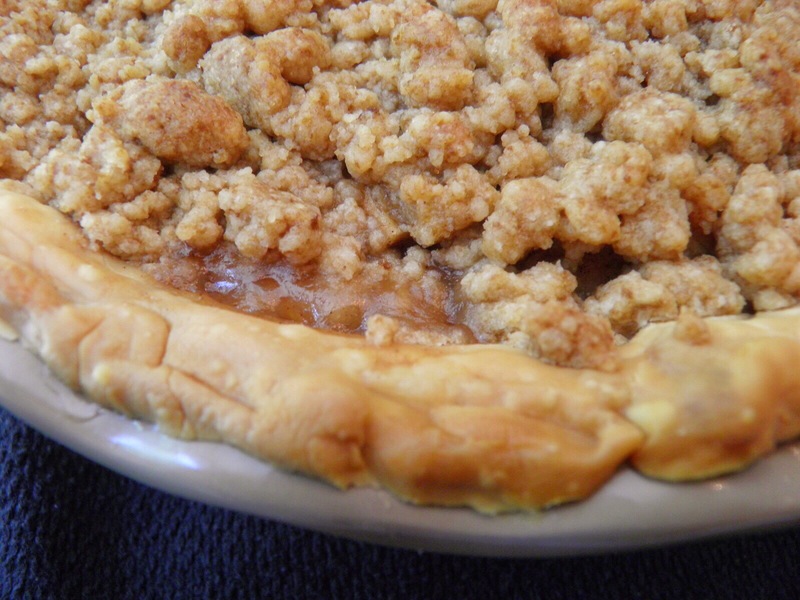 I think two things make my mom’s apple pie different from your typical recipe. The first is there is no lemon juice. While many recipes call for the apple to be tossed in lemon juice to prevent browning, my mom has always said , why does it matter if the apples turn brown since they getting covered in cinnamon anyways. The second is the apples she uses. Many recipes will say to stick to apples like granny smith who have a nice firm texture, but mom’s apple pie uses gala, red delicious, and golden delicious resulting in a much sweeter apple flavor.